Before heading into the woods with your kids for a camping trip, you not only have to plan what clothing to pack and what gear to bring, but it’s a good idea to think up some creative kids camping games. You’ve got to keep the kids entertained when you’re not out taking a hike, a dip in the river or lake or roasting S’mores around the campfire, right? 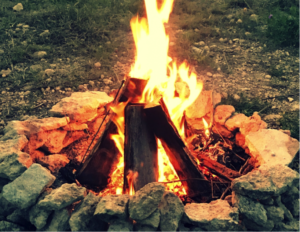 Sure, roasting marshmallows and having a chocolatey mess is always fun for even the smallest kids, but there are going to be times even when camping that kids need just a little more excitement to keep them going while out in the woods. While staying away from the tech gadgets (I.E. 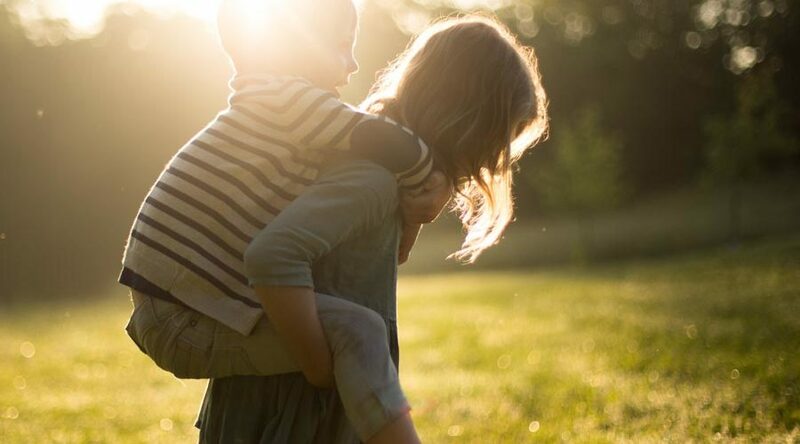 Smartphones and Handheld gaming) may be a challenge for many kids today, here are some games that are fun for all ages and guaranteed to cure those “what can we do now?” moments that happen when taking kids camping. Best of all, they’re free to do, don’t involve technology and are sure to be fun for the whole family. Before you leave for your camping trip, swing by your local dollar store to grab some inexpensive toys that the kids will love. Little whistles, sticker books, dolls and other items are always a hit with the little ones while decks of cards (Hey! More games! ), small sketch pads and non-tech puzzle games are good for older kids and teens. Plan the scavenger hunt by mapping out the area around the campsite to have the kids break off into groups, or individually to find things that are easily found in nature. 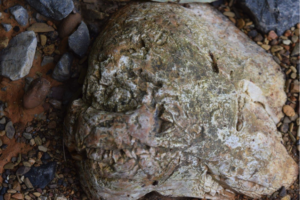 Have them search for items such as purple flowers, fern plants, odd shaped rocks, berries, seeds or other items. Set boundaries beforehand so the kids won’t wander outside of the camp area and if you have small kids with you, make sure an adult supervises them as they walk around searching for the items on the list. The individual child or group of kids who find the most items the quickest will be declared the winner and will win a prize. Have a snack ready when the hunt is over, so all the kids can refresh and enjoy chatting about what they found. Families have been playing the Alphabet Game for decades during long car drives to help pass the time during the drive. During a camping trip, it is a game where you have each person name something they will bring on a camping trip. To start, you need to have at least one or two who already know how to play the game or be good at instructing people how to play. The game begins with a person saying, “I’m going on a camping trip and I’m going to bring an apple (or other item that begins with the letter A). The next person then says, “I’m going on a camping trip and I’m going to bring a banana (or other B word item) and an apple (Or other A item that the first person said). This continues all the way through the letter Z with each person saying their word and then remembering all the items back to the letter A. As you see, the game continues with each letter of the alphabet as each person has their turn. It’s quite fun for all whether you have two kids or ten, especially when someone forgets the words! This is a fun game to play while sitting around the campfire at night or during the day when you’re looking for ways to keep the kids busy. A fun way to play the ever-popular Hide and Seek during a camping trip. One person is chosen as “It” and will have a flashlight. The person closes their eyes and counts to 50 while everyone else finds somewhere to hide. It’s super fun when the kids all dress in black or dark clothing to dress like a Ninja head to toe so the person who is “It” won’t be able to find them immediately. To win, the person chosen as it must shine the flashlight on a player who is hidden and then that person becomes it. 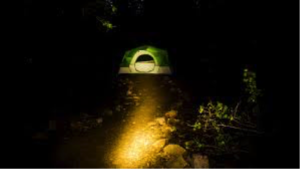 Be sure to tell the kids to stay close to the campsite and make sure an adult accompanies any younger kids, so they won’t get lost or afraid in the dark. This is best to do at the end of a long day of hiking, swimming, canoeing and other camping fun. As the evening winds down and everyone is gathered around the campfire, what’s better than telling a good yarn around the flames of the fire? Even better, with group campfire storytelling, everyone gets to participate to grow the story longer and more interesting. One person will start the story by saying just one sentence to get things started, and from there, each person gets a chance to add another line. This can be amusing, scary, even historical and accurate, but by the end of the evening you all have a fun story to remember, and maybe even laugh about as you drift away to sleep in your tents. Be sure to let everyone know to be as creative as possible to ensure the story will be fun for all. Sunny weather is not always a guarantee during a camping trip, and it’s best to plan for rainy days to make sure you keep the fun activities going even if it gets wet outside. Pack parkas and rain boots if you have them or try to keep some plastic sheeting on hand to use as ponchos for rainy days. 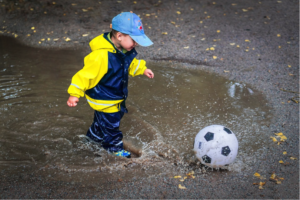 If there is no lightning, take time to have a fun rain day hike where you can splash in mud puddles, slide down wet grassy hills or even play a game of soccer in the mud and enjoy the rain while it lasts. It’s even fun to take a hike to see if you can spot animal tracks in the mud or to watch the rain hit the water in the lake. Rainy days can be loads of fun, and what kid doesn’t enjoy skipping through mud puddles when they can? Be sure to have warm gear, including clean, dry socks waiting for you when you return to the campsite and get everyone all dried off quickly. These activities are fun for kids, but best of all, the adults will love them as well! Need more ideas to keep the kids occupied while camping? Try these kids games and these learning tools too! Do you have any camping games that you enjoy playing when you take the family on a camping trip? If so, be sure to let us know about them! 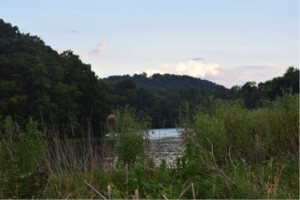 Jason Mueller grew up camping and fishing with his father, and today still enjoys the outdoors as much as he did when he was a kid. You can check out his website at a1autotransport.com/rvs/ and follow him on Facebook at facebook.com/a1autotransport. Previous Previous Best Long Underwear Ever For Kids & Adults. Seriously. Next Next Mindfulness For Kids. It’s Not Boring. Really.